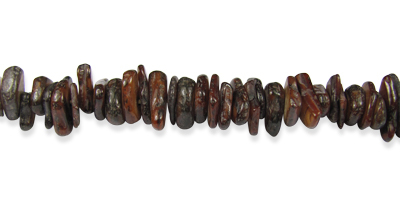 Full strand of cut and polished shell chip beads (also called mother of pearl). Bead size: Approx. 8-12mm wide, 2-4mm long.